In recognition of her exceptional contributions to the education and training of her students in Middle East studies. 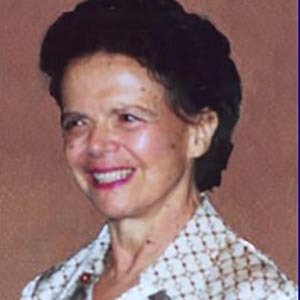 With deep appreciation for her immense intellectual energy and challenging approach to research and scholarship, with an emphasis on clarity in thinking and writing; Her model methodology, which stresses the dialectic in history, the significance of material culture, and comparisons beyond the subject at hand; and The careful attention she gives her students through meticulous training, sound advice, and continuing involvement in and encouragement of their scholarly careers. It is an honor to recognize Nikki R. Keddie, an outstanding mentor who continues to inspire the extensive community of her students in Middle East studies.